Migraines, muscle tension, stomach aches, fatigue, and the list goes on—the real, tangible implications of stress impacts our daily lives in a myriad of ways. It’s no secret that stress can affect both our physical and mental health—but what may be of surprise is that the triggers of our stressors go far beyond work and relationships. 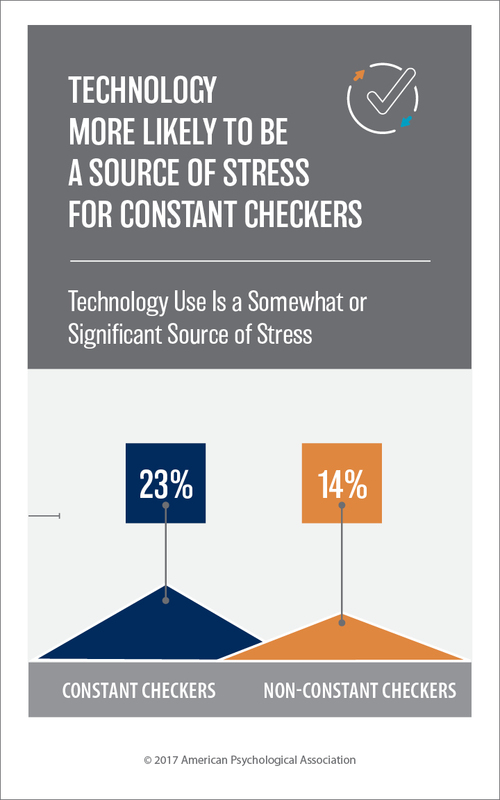 A February 2017 “Stress in America: Coping with Change” report by the American Psychological Association (APA) reveals that two out of three Americans are “stressed about the future of our nation.” The APA also reports that technology can be a significant source of stress for Americans. From politics, to social media, to email and beyond, stress seems to pop up in nearly every area of our lives. We spoke with five doctors from a variety of medical professions to get their expert advice on the best ways to derail stress triggers and lessen the impact stress has on both our physical and mental health. Read on to learn these experts’ top stress-reducing tips. Dr. Sheldon Salins, Bay Area orthodontist and member of the California Association of Orthodontists, recommends the use of a night guard for anyone who may grind their teeth at night. “People can become aware of this parafunctional habit from sore jaw muscles when they wake in the morning—or their partner might enlighten them of their new night time habit,” says Dr. Salins. A night guard can help prevent the adverse long term effects of excessive teeth grinding or jaw clenching. Dr. Salins warns that people can actually wear down the biting surfaces of their front or back teeth, making them shorter. Sometimes, he notes, people will develop abfractions—fracture points at the junction of the tooth/gum interface, which will lead to exposed dentin/cementum and increased sensitivity of teeth. “Many dentists will ‘cover’ the sensitive area with tooth filling material, but if the bruxism isn’t addressed, then often the filling can pop out due to the stress placed against the teeth,” cautions Dr. Salins. Houston-based migraine surgeon Dr. Mark Khorsandi notes that one of the biggest migraine triggers is stress, so finding ways to reduce stress can have a multitude of positive medical effects. While the advice of getting a full night of sleep certainly isn’t new, Dr. Khorsandi urges each of his patients to get a full eight hours of sleep every chance he gets. “Your body needs time to reset from the stresses of the day and sleep can have that restorative property,” he says. Even naps can play a tremendous role in reducing stress. We know that naps improve both our mood and our ability to manage stress—but shorter naps in particular, like a 20-minute power nap, also do wonders for increasing our alertness. “Practicing deep breathing techniques or yoga for at least twenty minutes in the morning can be a good way to start your day on a positive note and remove some of the stress from your body,” notes Dr. Khorsandi. Johns Hopkins University researchers echo Dr. Khorsandi’s advice. Their findings suggest that mindful meditation can actually ease anxiety, depression, and pain. Dr. Khorsandi adds, “While it can seem silly at the beginning, doing it every day and making it a habit will allow it to become a part of your routine.” And with so many free meditation apps available, incorporating mindful breathing into your daily routine doesn’t have to feel like a chore. Orlando-based family practice specialist Dr. Faisal Tawwab points out that a healthy gut can have a direct impact on your stress levels. When we indulge in too many simple carbs and processed foods, our bodies actually go into into stress mode. “This food is also oftentimes acidic, which can wreak damage on your normal, healthy bacteria and digestive efficiency,” says Dr. Tawwab. He notes that healthy gut microbiome (gut bacteria) actually show a direct correlation with mood shifts—and lacking in Faecalibacterium (a type of bacteria in our intestines) has been linked to depression and anxiety. The health of our gut dictates the health of so many of our other systems. This is due to us either feeding our body properly or improperly. “Eating gut healthy foods like flaxseed, kombucha, and bone broth coupled with a diet high in alkaline foods can realign your gut and then potentially alleviate some stress,” says Dr. Tawwab. Long Beach-based spine surgeon Dr. Ramin Javahery reminds us of the impact stress can have on back pain. He says back pain can actually be triggered by underlying emotional and psychological stressors, as emotional stress can lead to tightened muscles, which leads to physical pain. Dr. Javahery suggests practicing mature coping strategies such as talking through a stressful situation with a supportive friend, listening to music, or going on a hike. “Find healthy, accessible ways to work through life’s common stressors,” he says.